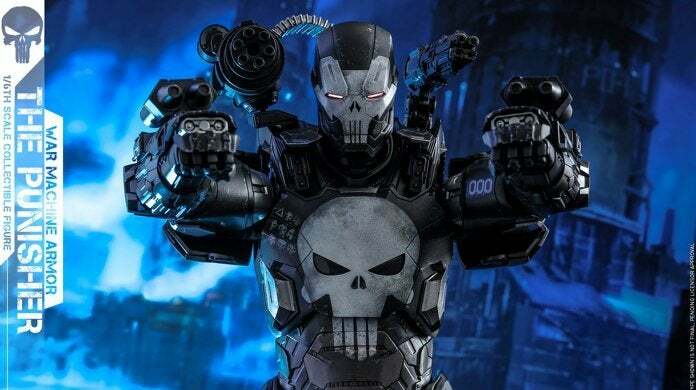 Out of nowhere, Hot Toys has announced a Punisher War Machine armor sixth scale figure inspired by the Marvel Future Fight game for iOS and Android (and the Punisher War Machine from the comics), and it is absolutely glorious. The badass LED-enabled head sculpt on this worth the price of admission all by itself, but Hot Toys also did an amazing job with the rest of the armor, weapons, and accessories in this piece (it even includes some diecast bits). Odds are it will be a hot seller, and If you want to get your hands on one, we expect it will arrive right here on Sideshow Collectibles for pre-order as early as today January 18th (hopefully, no later than Monday, January 21st). 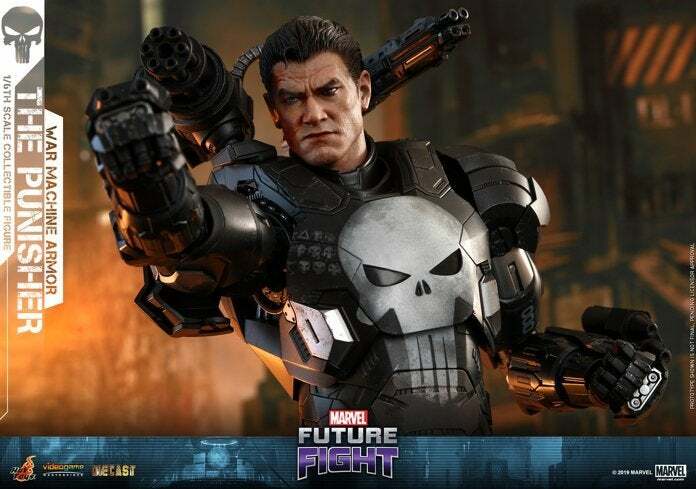 "Inspired by the popular game MARVEL Future Fight, Hot Toys is excited to introduce the eagerly awaited 1/6th scale The Punisher (War Machine Armor) collectible figure specially made from diecast material." "Standing approximately 32.5cm in height, the collectible figure is expertly crafted based on the appearance of The Punisher in the game. 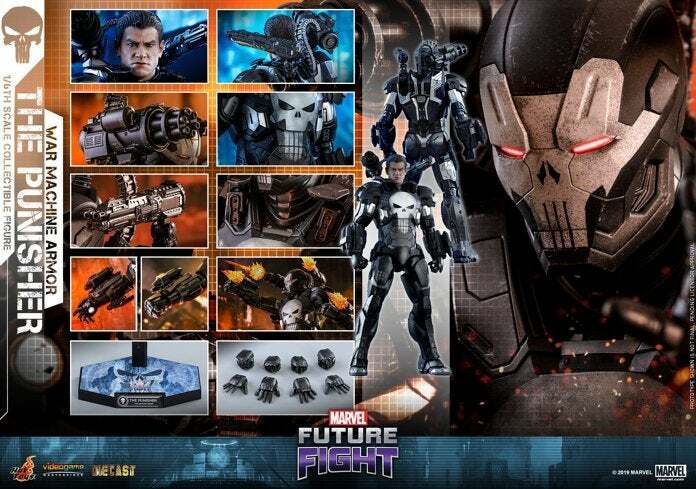 It features a newly developed head sculpt and an interchangeable highly-detailed helmeted head with LED light-up function, metallic black and silver colored armor with white skull motifs and weathering effects, LED light-up repuslors, a mini-gun on shoulder with an ammo belt, an articulated back- mounted shoulder cannon, attachable real-like thrust fire effect accessories and a specially designed figure stand!"